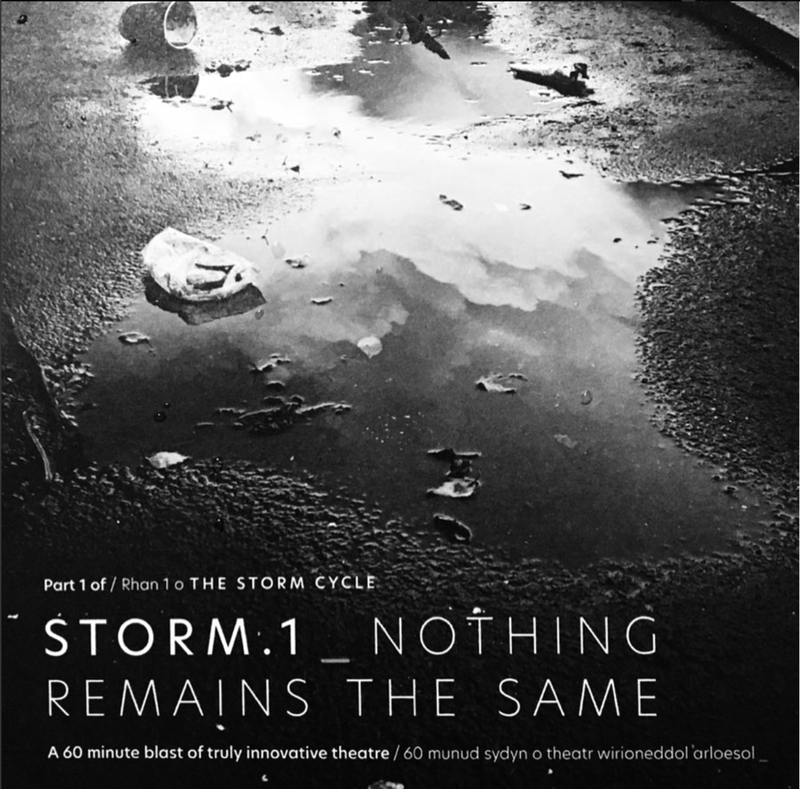 The first of Pearson/Brookes' Storm Cycle – a series of six productions conceived, designed and directed by Mike Pearson & Mike Brookes in collaboration with National Theatre Wales – STORM.1 was a poetic, cinematic reimagining of the first two books of Roman author Ovid’s Metamorphoses, which took place in Pafiliwn Bont, Pontrhydfendigaid in February 2018. In a theatrically thrilling combination of word, sound and unexpected occurrences, STORM.1: Nothing Remains The Same takes up two of Ovid’s early stories. The soundtrack to this production was delivered through two independent means: spoken narratives delivered through headphones; and a cacophonic soundtrack that filled the dark, empty physical space using a large surround sound setup. I created the soundtrack for this with John Hardy Music, which consisted of combinations of recorded natural sound, synthesised equivalents and found sounds. The production received a praising 4-star review from the Guardian.